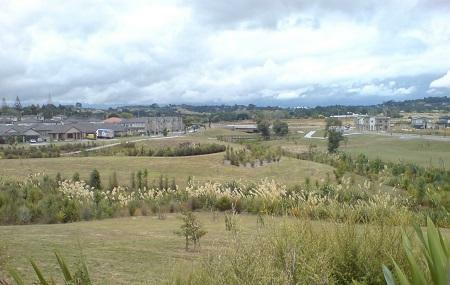 The Barry Curtis Park covers an area of 94 acres and is one of the largest parks in New Zealand. The walkaways of the park spread across its huge land area and the park even hosts a Park-run every Saturday to encourage more people to run. The skate park is where the fun-factor lies and the green area is apt as a picnic spot during weekends. Other amenities in development include a children’s playground area and a multi-sports centre. If you are looking for a green space in Auckland, the park is an absolute must-see! Barry Curtis parkrun: every Saturday at 8:00am. How popular is Barry Curtis Park? People normally club together Auckland Botanic Gardens and Silveroaks Inn Silverpoint while planning their visit to Barry Curtis Park. Very nice location. But a little difficult to find what ground is what. But very clean and tidy. Great Park! The new path lights will extend the use of the park in Wintertimes. I go here lots. By myself. With friends. With family. Love it.